Providing quality residential & commercial window cleaning in Franklin, Brentwood, Oak Hill, Forest Hills and surrounding cities. Who doesn’t love the gorgeous view of sunshine coming into the home from crystal clear windows? Whether it is raining or snowing, windows connect you with Mother nature and keep you entertaining always. It is really essential to maintain your windows clean and clear which makes your home look perfect. Sometimes windows can be the first thing people tend to notice in your home. But Most of the homeowners doesn’t focus on because it is a time taking task, dangerous and also often very difficult. Even though if you follow some ideas like wiping the windows with newspaper or wipes, it doesn’t remove the dust completely. Professional window cleaners know the value of your time and follow high-quality cleaning techniques to keep your windows clean. It is always the best idea to get the help of professional cleaner to clean your windows once or twice a year. Windows are mostly spoiled with buildup grease, dust, grime, rust, oxidation, and airborne contaminants. Our professional cleaners deeply rub and scrub the windows with high-quality solutions that purifies your windows. In this step, cleaners make sure that every inch of the windows is cleaned by squeegeed and professional grade cleaning gear. It removes almost 99% of dust and makes the windows free from dirt. It makes every cell of your window to breather fresh air again. If required, cleaners also use power washing which rinses away tough buildup of dust, mold, dirt, old paints, and other accumulations. High-pressure water spray works directly on the surface of the window and loosens up the dust to make the work quicker. In this step, cleaners wipe the edges and exterior parts which brings back the shine and brightens up your home. Cleaning your windows frequently is a successful way to maintain your home amazingly. If you would like to get attractive windows, consider investing in a professional cleaning service which makes your work easier. It is all about the exterior appearance of your home and clean windows gives you a happy soul. A peaceful home should have well-maintained windows which enhance the entire look of your property. Now it is your time to make the right decision! 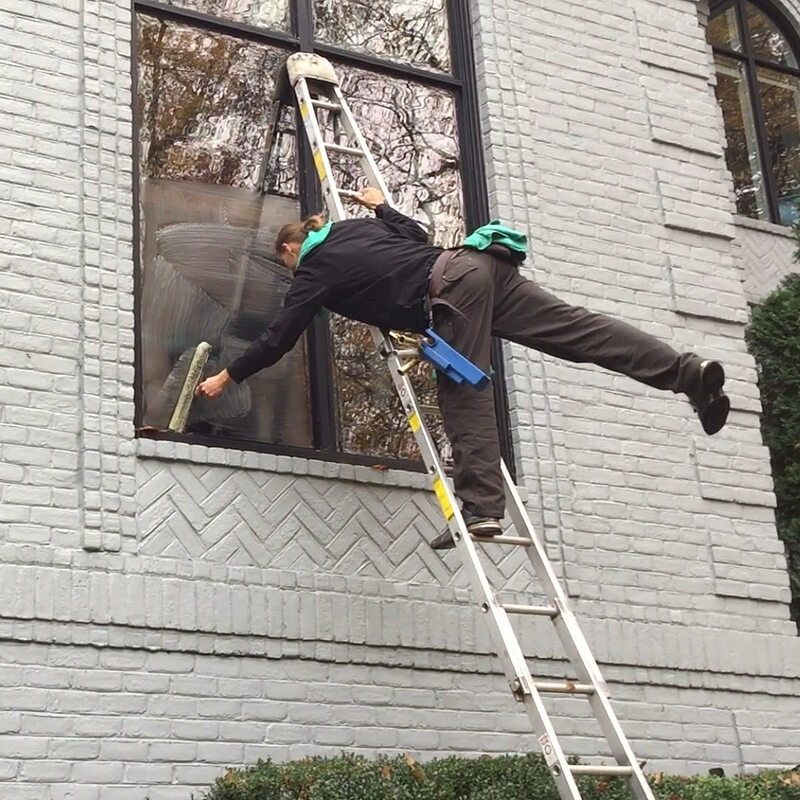 Contact a professional window cleaner to make the windows spark again.